Facebook is giving the camera a central place on its smartphone app for the first time, encouraging users to take more pictures and edit them with digital stickers that show the influence of camera-friendly rival Snapchat. With an update scheduled to take effect today, Facebook will allow users to get to the app's camera with one swipe of their finger and then add visual details like a rainbow or a beard of glitter. Users will be able to share a picture privately with a friend, rather than to the user's entire list of friends, and add a picture to a gallery known as a "story," similar to a feature on the Snapchat app. Snapchat, owned by Snap Inc, popularised the sharing of digitally decorated photographs on social media, especially among teenagers, and exposed a weakness of Facebook as the companies battle for eyeballs and leisure time. Snap, which went public this month, has recently emphasised its ambitions to build gadgets and has called itself a camera company rather than a social media firm. Facebook, the world's largest social network with some 1.86 billion users, denies it took its camera ideas from Snapchat and says it got them from Facebook users. "Our goal here is to give people more to do on Facebook and that's really been the main inspiration," Connor Hayes, a Facebook product manager, said in a briefing with reporters. In a glimpse of how the features could tie in with other businesses, one of the first camera effects will be the ability to morph someone in a photograph into a yellow, cartoon Minion. The latest Minion movie, Despicable Me 3, is due out in a few months from Comcast Corp's NBC Universal. 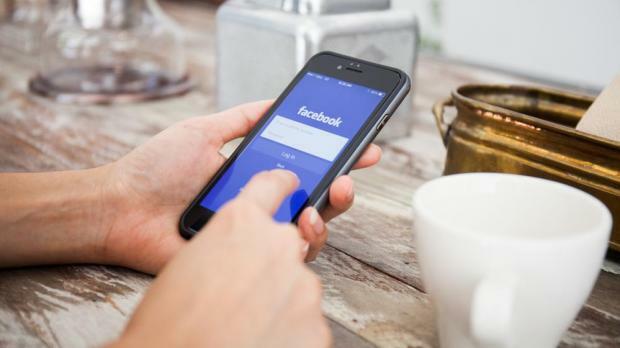 Facebook has deals to license content from six film studios, as well as from two artists, said Kristen Spilman, design director at Facebook. Another visual effect that can be added to pictures allows someone in a picture to "become a laser cat with superpowers," Spilman said. The effects will vary by location. Spilman said that when Facebook tested the ability to add the phrase "LOL" - the acronym for "laugh out loud" - to a picture, users in Ireland were confused by what it meant.